On top of reducing cavities and oral health issues, did you know that brushing and flossing fights bad breath and removes stains? If you have persistent stains that brushing can’t remove, get your teeth bleached at Black & Bass Cosmetic and Family Dentistry for a dazzling stain free smile. 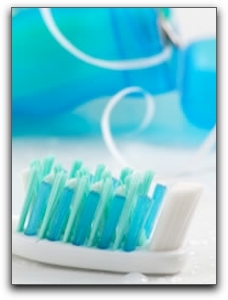 The American Dental Association recommends two minutes as a minimum time for brushing. Most men and women think they brush that long but would be surprised if they actually set a timer. Most of us only brush for about a minute, if that. We are Drs. Kevin Bass and Lawrence Black of Black & Bass Cosmetic and Family Dentistry. In our office, we practice preventative dentistry by working with our patients to establish essential oral hygiene habits. If you are looking for a a family dentist in Lansdale, I invite you to come meet our calm and comfortable team. Our address is 410 N Broad St, Lansdale, Pennsylvania. We offer general and restorative dentistry, including painless injections and cosmetic and restorative dentistry. And here’s a quick cold-fighting tip for my Lansdale patients; get a new toothbrush when you catch a cold. A toothbrush teeming with germs can re-infect you! Give us a call at 215-368-1424.